Phoenix, AZ—Arizona’s “In God We Trust” license plates have generated $1 million for the anti-LGBTQ hate group Alliance Defending Freedom (ADF) since 2012, American Atheists and the Secular Coalition for Arizona (Secular AZ) revealed today. In response, American Atheists and Secular AZ have launched a billboard campaign to raise awareness about ADF and how Arizona is funneling money to fund this hate group. The billboard, paid for by American Atheists, will appear in three locations in the Phoenix metro area until March. 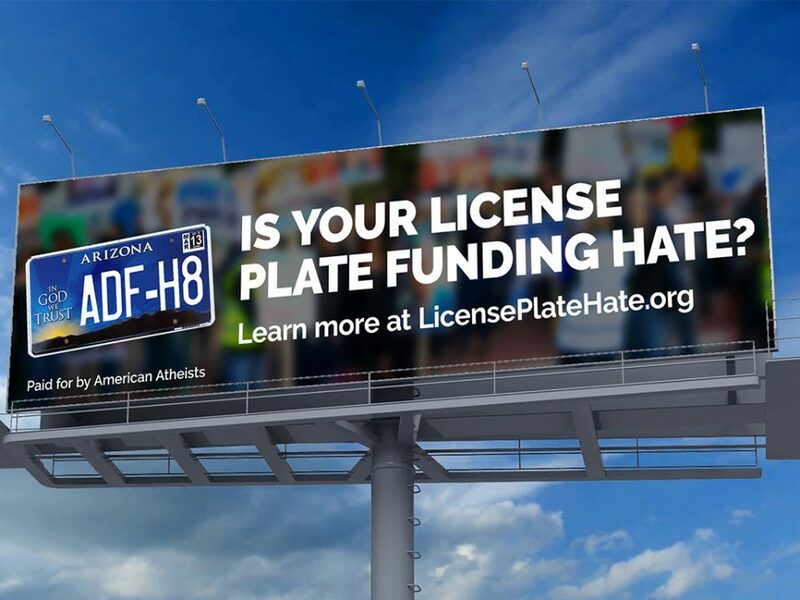 It displays an Arizona “In God We Trust” license plate with the number “ADF-H8.” The billboard raises the question, “Is Your License Plate Funding Hate?” and directs the viewer to visit LicensePlateHate.org for more information. American Atheists and Secular AZ will present the billboard and take questions at a press conference on Monday February 11, 2019, 9:00am to 9:30am in the Arizona Capitol’s Rose Garden. ADF, a Southern Poverty Law Center-designated hate group, is a leading voice in developing and advocating legislation that denies LGBTQ people access to public accommodations and has defended LGBTQ discrimination at the Supreme Court and international institutions. “Public awareness about ADF’s hate-inspired schemes is thankfully on the rise. 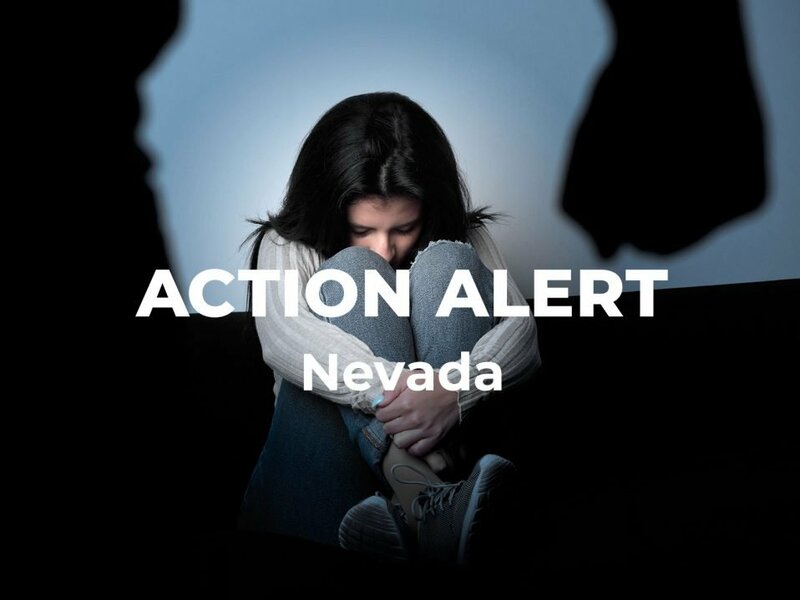 However, few people realize that the license plate law funding ADF fits into a larger, dangerous Christian nationalist legislative campaign called Project Blitz,” said Nick Fish, president of American Atheists, the national atheist organization building opposition to Project Blitz with its BlitzWatch.org campaign. “Project Blitz pushes seemingly innocuous bills similar to Arizona’s ‘In God We Trust’ license plate law in the hopes of building enough momentum to pass anti-equality legislation. However, Arizona’s law, which predates Project Blitz, is the first law we’ve seen that directly funds a hate group like ADF,” added Fish. “What’s even worse about the Arizona license plates is that there is absolutely no disclosure about where the money goes when drivers purchase these specialty plates,” said Tory Roberg, the director of government affairs for Secular AZ, an advocacy organization working to raise public awareness about license plate dollars going to ADF. The Arizona laws establishing the “In God We Trust” license plates do not inform Arizonans that the $17 speciality plate fee is donated to ADF. 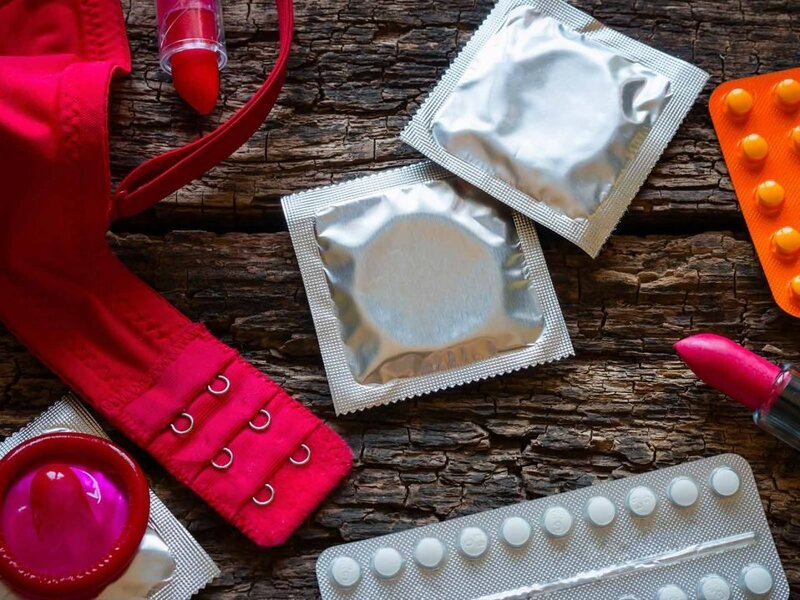 On Monday, February 4, Arizona state Senator Juan Mendez introduced two bills to address the state’s funding of ADF and the lack of transparency surrounding these plates. SB 1462 would ensure transparency by requiring the Department of Transportation to maintain a database with the name and mission of each entity receiving funds from specialty plates. Any driver selecting a specialty plate would receive information on their registration receipt about the entity funded by their selected plate. 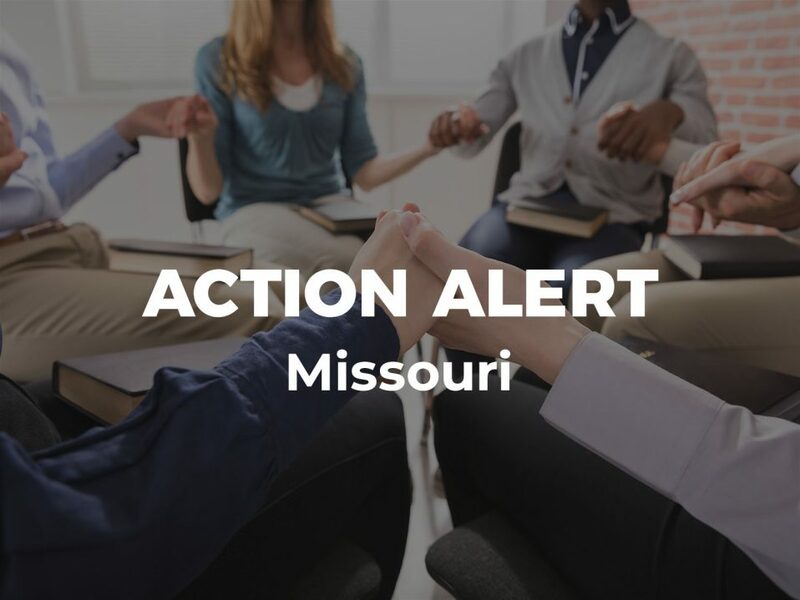 SB 1463 would no longer include the “In God We Trust” specialty plate among those that can funnel money to a organization, cutting off donations to ADF. “We need some reasonable criteria for which organizations the state sends money to, and I think a pretty legitimate starting point is that we shouldn’t include hate groups. It’s inexcusable that we’ve already sent a million dollars to an organization that’s stripping rights from LGBTQ people,” said Mendez. More information about the billboard campaign is available at the LicensePlateHate.org website.